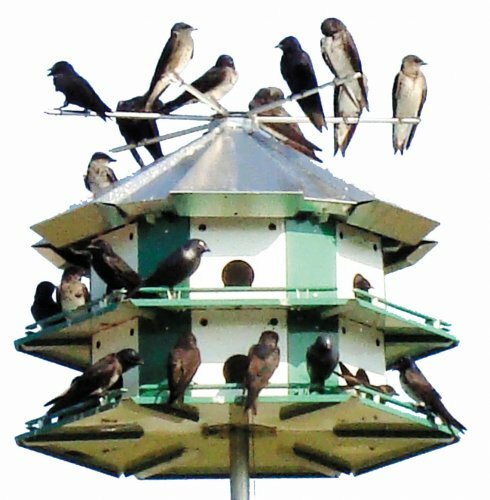 of the Nature House Brand of purple martin products. Nature House revolutionized martin housing in 1962 with its pioneering line of all aluminum products. There have been many copycat items produced over the years but Nature House is still the best value, and the most beneficial line of products for the martins. Erva purchased the Nature House Company in 2006 from founder Mr. JL Wade. We moved the production to Chicago from Griggsville Illinois and are proud to continue to produce these products here in America. Please visit us when you are in Chicago and you will see these fine houses being crafted in our factory. We maintain a stock of repair parts and are here to serve you after the sale.